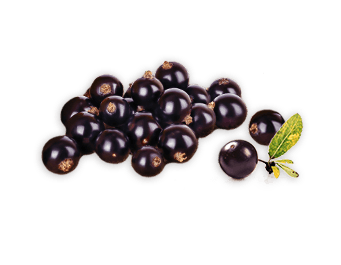 The Maqui berry is a traditional symbol of health and vitality, a treasure of the Mapuche Indians of South America. 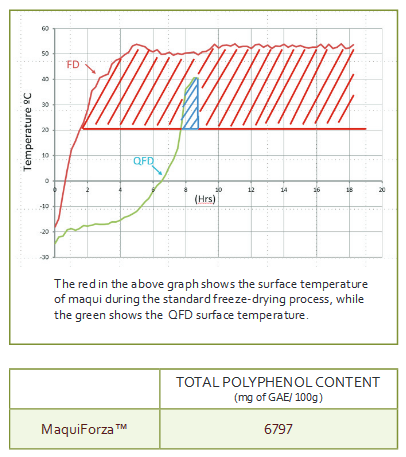 MaquiForza™ is produced from certified organic Maqui berries native to Chile, which have been freeze-dried using the unique patented QFD technology. NP Nutra’s MaquiForza™ is produced in a BRC certified facility. The raw materials are carefully selected, cultivated and processed resulting in a premium freeze-dried powder with much higher levels of anthocyanins, polyphenols and ORAC than other products. Maqui berries are known to have the highest antioxidant levels of any fruit1. These include anthocyanins, delphinidin, malvidin, petunidin, cumarins, triterpenes, flavonoids, and cyanidin. Maqui is also a good source of, calcium, potassium, and iron. Maqui berries are traditionally used to promote strength, endurance and overall health. The antioxidants in Maqui berries may help to promote immune and cellular health, support bone and joint health and maintain cholesterol and triglyceride levels in the normal range. The Mapuche Indians are the only known indigenous people in the Americas who have never been conquered by an invading force. For centuries the Mapuche have used the Maqui berry for both food and medicine, to give strength and stamina and to improve health. The Maqui berry tea-drinking Mapuches successfully resisted many attacking armies, including the Spanish conquistadors, the Mayans and the Incans! Anthocyanins are produced by plants for self-protection against sun, irradiation, diseases, and biological enemies. Anthocyanins are antioxidant flavonoids that protect many body systems and have some of the strongest physiological effects of any plant compounds. Scientists say that the harsh climate of central and southern Chile, together with high solar radiation (50% increase in the last 30 years) have increased the anthocyanins in the fruits and berries that are grown in that region. 1 As measured by Brunswick Laboratories. 2 Carlos L CÉSPEDES, Julio ALARCON , Jose G AVILA, Antonio NIETO, “Anti-inflammatory Activity of Aristotelia chilensis Mol. (Stuntz) (Elaeocarpaceae).” ©2010 Boletín Latinoamericano y del Caribe de Plantas Medicinales y Aromáticas, 9 (2), 127 – 135.